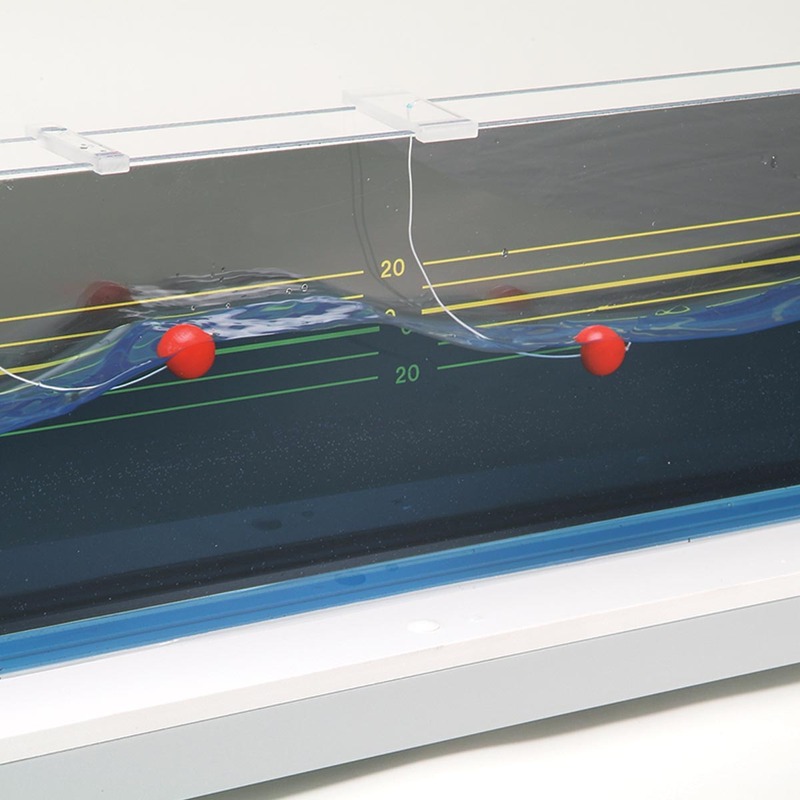 Wave trough for demonstrating or investigating the basic properties of waves using waves in water. 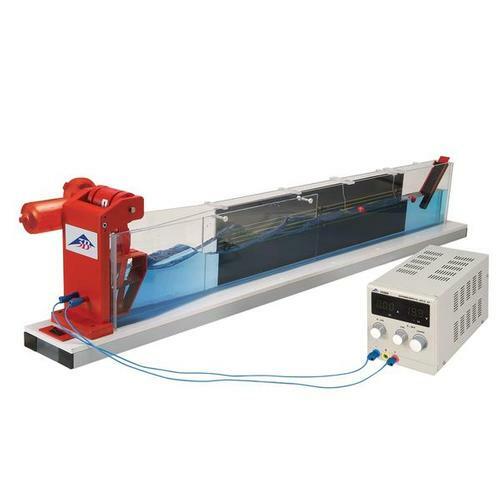 A plexiglas duct is filled with water and a sinusoidal wave is generated that propagates with no reflection at the end thanks to an absorber mechanism. The frequency and thus the wavelength of the resulting movement can be varied continuously. In order to investigate reflection, the absorber at the end can be removed. Two exciting mechanisms are supplied that can be operated in or out of phase and the waves they generate can be viewed separately or superimposed. By applying a pulsed input to the exciters, non-periodic waves can be generated. Power consumption:	40 W max.